As someone who calls the Pacific Northwest home, Earth Day is kind of a big deal around here. I wanted to celebrate this year with a fun craft that the kids can help with, too! My daughter is SO excited to send these little bombs off to school with her to pass out to her class. Aren’t they just darling?! 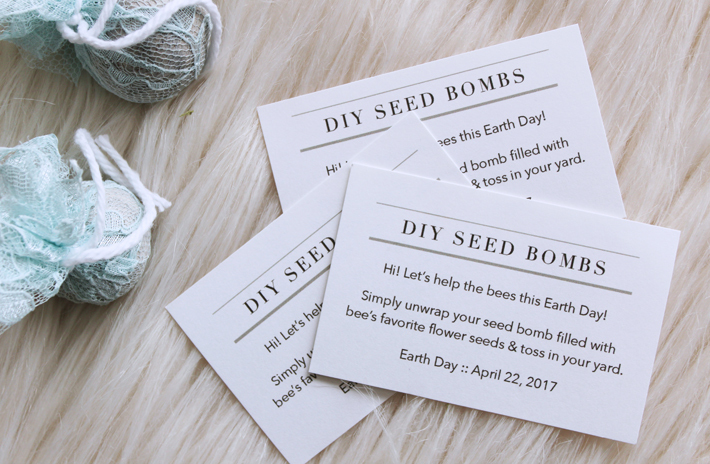 You may be wondering what a seed bomb is, that’s ok. I actually had never heard of them either! 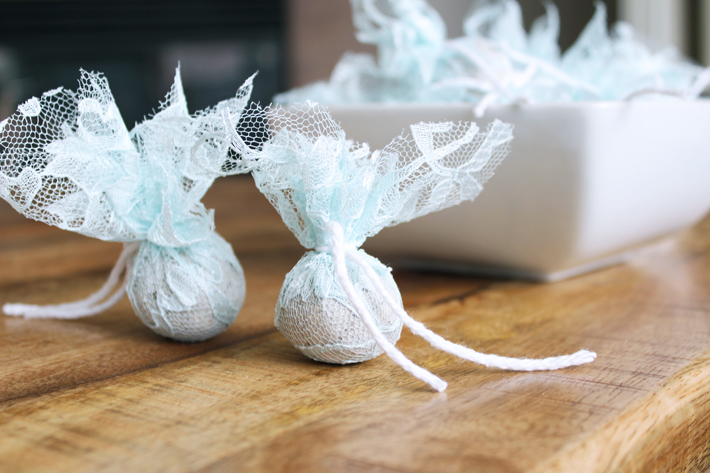 A seed bomb is simply a ball with a collection of seeds to disperse over land with little to no vegetation. You can choose any type of seeds to use in your seed bombs! I am a fan of helping out our local bees so I chose to use bee-loving flower seeds. You can also choose to use seeds that grow well in your neck of the woods, your favorite flower seeds or even just random ones your friend/spouse pick up for you at the store thinking they are grabbing the perfect ones when actually they grabbed potato seeds.. ;) ANYWAY..
For this project, we only need a handful of materials! 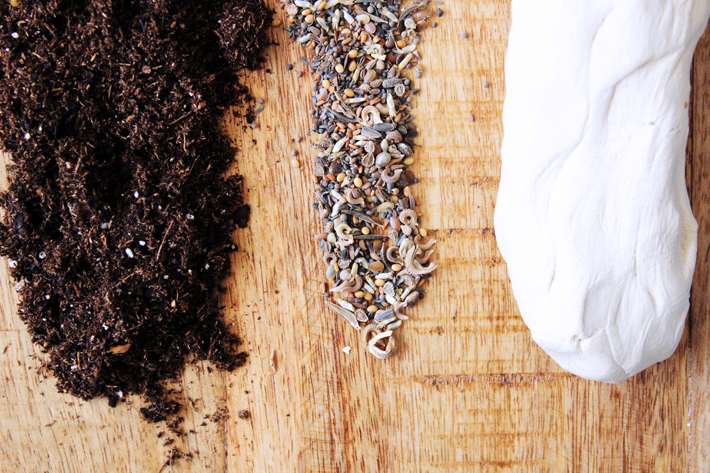 I grabbed some air-dry clay, soil, and a couple packets of flower seeds. This is all that is needed for the actual seed bombs. 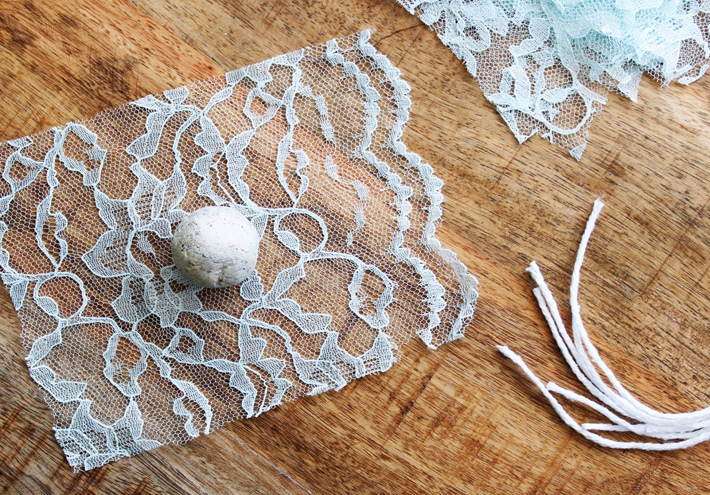 I also chose to individually wrap each bomb simply because this blue lace was on clearance and just so darn cute (grab some fun fabric here, too!)! I just tied it with some white cotton yarn I had on hand! Can you imagine adding little flowers to them?! Swoon! To get started, I grabbed some of the clay and massaged it a bit and rolled it out to about 3/4” thick. After the clay was laid out, I put some soil on top, and then laid the seeds out on top of the soil. 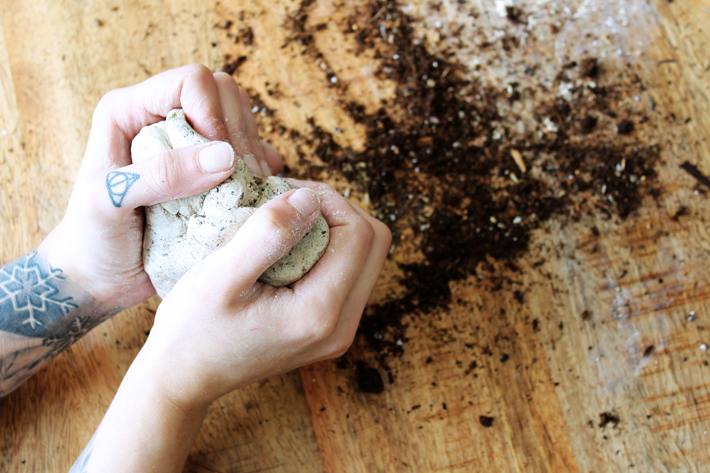 You will want about three parts clay, two parts soil and one part seeds. The reason we use clay for this project, is so that after you lay out your bombs, the clay protects the seeds from greedy birds. Once my clay was well mixed together, I pulled off small sections so I could create approximately 1-1.5” bombs. 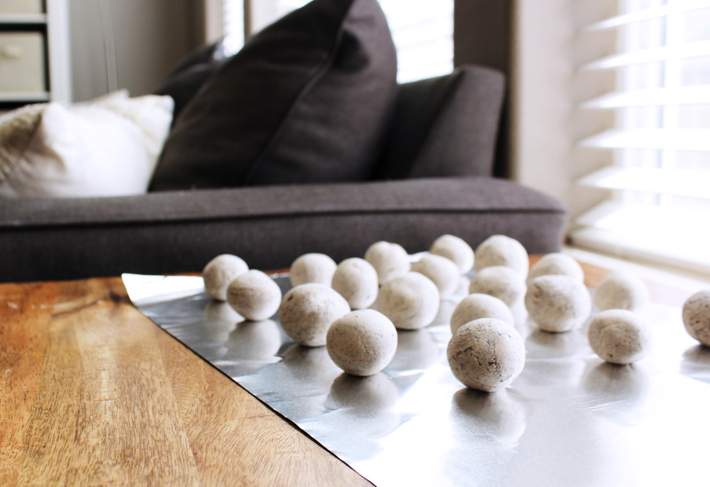 Using my hands, I rolled each section into balls and set them out by my sunniest window and waited for them to dry (the dry time may vary depending on which clay you choose to use, how humid your area is, how large you make your bombs, etc). My bombs were fully hardened and dry on the third day that I had them sitting out. 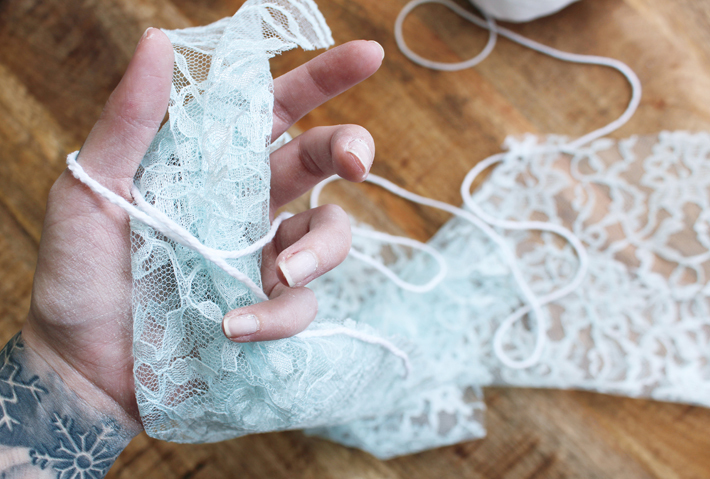 After my bombs were fully dry, I grabbed my lace and cotton yarn. I cut the piece of lace fabric into squares approximately 6”x6”. 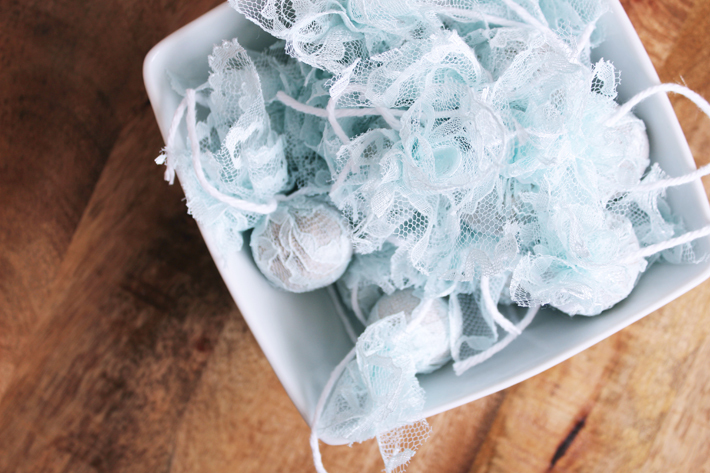 For each bomb, I set it in the center of of the lace, wrapped up the sides around the ball and then used pieces of yarn to tie it closed. Cute, right?! Ta da! And now I have these cute little seed bombs to hopefully get these bees some more pollen-yummy flowers! But guess what?! I made these cute little tags to include with the bombs as an added touch but also to instruct the seed bomber how to use them. I included the FREE PRINTABLE HERE, so be sure to print out your copy as well to help spread the word for Earth Day 2017!! Do you like my Earth Day craft? Do your kids? How would you change your bombs or what kind of ways do you like to celebrate this fun holiday?! Tell me in the comments below!